VoeTek provides a range of competitively priced services. Our services include interim C-level executive assignments; the mentoring of senior executives across business and technology functions; transformation from old world to new world; technology and strategy mapping and audits; product management; clerking services to school governors; conference presentations and keynotes; retainer-based services; Non-Executive Director roles; and research and development. Our work spans governance, architecture, development and procurement as well as specialised domains such as security, privacy and identity. We prepare confidential reports for clients to assist them with improving their organisations and the services they provide to their users, as well as rolling up our sleeves to make it happen. Based on our extensive experience of applying digital improvements at scale, we research, author and contribute to public papers. 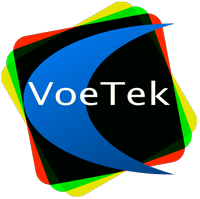 VoeTek also has a focus on research, development and innovation in digital media and its implications, helping guide and inform strategies for the exploitation of technology across science, technology and the arts. We aim to enable clients to maximise the potential from their current technology investments, as well as to plan systematically for the future — to enable technology to play a transformational role as a key lever of public policy and effective business development. Where additional resources are required, we have an informal network of experienced associates able to provide complementary leadership and technical skills.